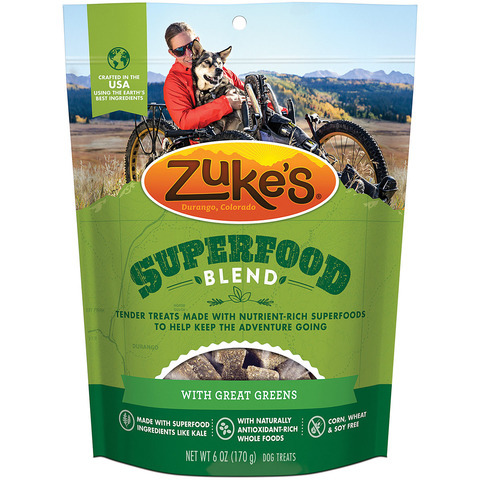 Combining nature's superfoods with added vitamins & minerals for a super blend of antioxidants & a great tasting treat to help keep your dog super healthy. Low gluten & oats, wheat, corn & soy freefor sensitive dogs. Berry: beets, cranberries, blueberries, raspberries, blackberries & cherries. Beta: pumpkin, carrots, sweet potatoes, butternut squash & apricots. Greens: alfalfa, green beans, spinach, broccoli, peas, asparagus, kale, cabbage & kelp.